Updated! 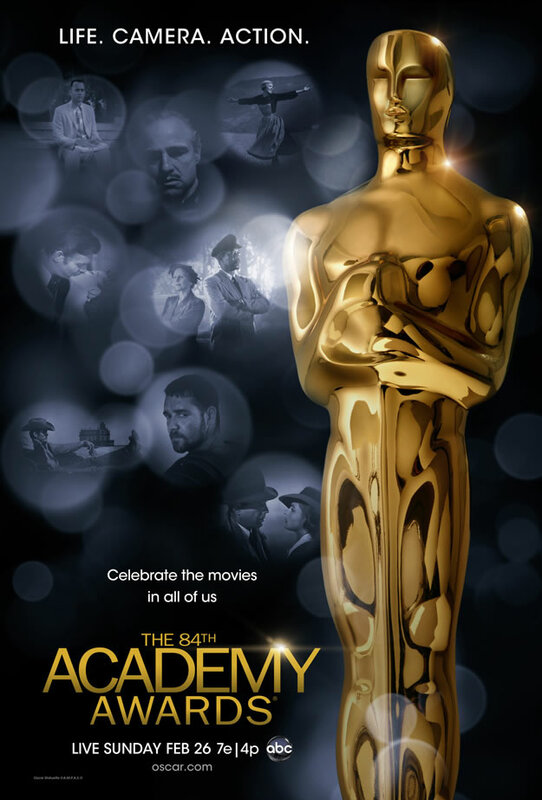 Academy Awards: The 2012 Nominations Are The Right Ones To Express The Movie Message, No Competition! But Denied. Actualisé! Les Prix de l’Académie : les nominations sont les bonnes pour exprimer le message d’un film, pas de compétition ! Mais c’est dénié. FOR IMMEDIATE RELEASE Los Angeles,California,United States of America(Free-Press-Release.com) February 27, 2012 — Strangely, I was denied as a Press member at the Academy Awards, 3 times in 2 days! It looks like they did not know me or they knew me too much! I wanted to do nice articles about their show with a Pass to be officially with them. They didn’t accept that as I have a bad reputation there, in Hollywood. I’m a Republican. Obama was on location to start the week and schedule his Convention this summer with Villaraigosa, the Mayor of LA. These people hate me. Why? I suppose, because I say the truth about their game meaning bad politics. But there is also a legal issue. The Artist, a film produced to break my company TIMEFRAMES LLC. Thank you French! A second reason why they did not want me on location, as they were feeling guilty. I began the development of French Cop in 2006 and the German Spy in 2007. I trademarked the franchise of the story lines. Not enough! The movie The Artist is a not authorized mix of the two that, anyway, did an ovation from the red carpet population. It is true that I am more somebody from the Rock Community. My Band: BRAMSTOCKER. My reply to this: HOLLYWOOD BELONGS TO EVERYBODY. What to think about the future? I feel confident, I want Miami to be the competitor of this Hollywood struggling against itself. All films are respectable, even my 2 projects. I am French, Hispanic and American and I deserve the same success than The Artist. Let’s organise a screening of French Cop and German Spy by diffusing an Interview of me recorded by a fine journalist. I will explain the quality of my movies. The Screen Actors Guild will stop to criticize me and the Motion Picture community will accept my career in Government and my talent for journalism you can see. In November, a new President, maybe me as the troubles of my GOP give me a more useful leadership for Modernization of the Country. The USA are for a Free Entertainment with no Black List or Denied Attitude. I will support a class action against the Academy Awards for Justice in this so bizarre Los Angeles, capitale of the Movies, why this? Hollywood is denied until now because of its egoism. HOLLYWOOD REJETEE? JUSQU’A PRESENT ! Étrangement, j’ai été refusé comme un membre de la presse à la cérémonie des Oscars, 3 fois en 2 jours ! On dirait qu’ils ne me connaissaient pas ou qu’ils me connaissaient trop ! J’ai voulu faire de bons articles sur leur spectacle avec une passe pour être officiellement avec eux. Ils n’ont pas accepté parce que j’ai une mauvaise réputation, à Hollywood. Je suis un républicain. Obama était présent pour commencer la semaine et planifier sa Convention cet été avec Villaraigosa, le maire de Los Angeles. Ces gens me haissent. Pourquoi ? Je suppose que je dis la vérité sur leur jeu qui signifie de la mauvaise politique. Mais il y a aussi une question de droit. The Artist, un film produit pour briser mon entreprise TIMEFRAMES LLC. Merci français ! Une deuxième raison pourlaquelle ils ne voulaient pas de moi, comme ils se sentaient coupables. J’ai commencé le développement du film French Cop(tm) en 2006 et German Spy(tm) (l’espion allemand) en 2007. J’ai une marque déposée de la franchise des 2 scénarios. Pas assez ! Le film The Artist est un mélange non autorisé des deux qui, de toute façon, a fait une ovation de la population des tapis rouges. Il est vrai que je suis plus quelqu’un de la communauté du Rock. Mon groupe : BRAMSTOCKER. Ma réponse à cela : HOLLYWOOD appartient à tous. Ce qu’il faut penser à l’avenir ? Je suis confiant, je veux que Miami soit le concurrent de cet Hollywood luttant contre lui-même. Tous les films sont respectables, même mes 2 projets. Je suis français, hispanique et américain et je mérite le même succès que The Artist. Organisons une projection du German Spy et du French Cop par la diffusion d’une interview de moi enregistrée par un confrère journaliste. J’expliquerai la qualité de mes films. La Screen Actors Guild arrêtera de me critiquer et la communauté cinématographique acceptera ma carrière dans le gouvernement et mon talent pour le journalisme, que vous pouvez apprécier. En novembre, un nouveau Président, peut-être moi comme les troubles de mon GOP me donnent une direction plus utile au sein du Parti Républicain pour la modernisation du pays. Le USA sont un pays de divertissement en liberté avec aucune liste noire ou Attitude rejetée. Je soutiendrai un recours collectif contre la cérémonie des Oscars pour la Justice dans ce tellement bizarre Los Angeles, capitale du cinéma, pourquoi cela ? Hollywood est rejeté jusqu’à maintenant à cause de son égoïsme. Oscar, a super hero who is about to have his comic book, I will produce it if necessary because he is the symbol of the Character Celebration! Part 1 of 12. Once upon a time there was a tree in Hollywood, apples. The cinematography was created by God (in which we trust). Part 2 of 12. Then, there was a couple issue: Adam and Eve, they had lot of trees in that forest, the Hollywood land. Films, by screen writers, kind of Bible men (and women), film symbol: a tree. Part 3 of 12. Some trees are cut, some trees are known to be famous trees. They live their life and never die. Thanks to the DVD (some kind od UFO before the 90’s). This is the I-Vision (intervision) Holly. Stories (about a Wood). Part 4 of 12. Eve chose an Apple advised by a snake that stayed well known because of its project for Adam’s wife: to sign for a Disaster Movie. Part 5 of 12. the Eden Garden was the first movie set. It is located in the Beachwood Canyon. There, Adam was the first movie hero and Eve was his celebrity. Part 6 of 12. they decided to relocate and they chose Florida. The Apple created a crisis with God, not possible to continue the film in Hollywoodland that was not anymore the Paradise they knew before, they began to shoot on location in Miami. There were rules preventing to eat this fruit, the symbol of bankruptcy. No respect, no palace. Part 7 of 12. Eve never decided to eat an Apple again, the snake disappeared, probably lost in the jungle of another State like New York with a female of its style of life, Adam wanted to be a filmmaker, he succeeded to shoot his breakthrough: how I move from the Eden Garden.